The MS 211 easy start Stihl chainsaw featuring the long life air filter system and anti-vibration system. 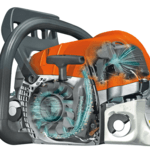 The 2-Mix technology means this saw can use up to 20% less fuel and produce 70% less emission while still maintaining the high quality power and cut that Stihl consumers have gotten to know. The convenient tool free chain tensioning system and easy2start setup means looking after your chainsaw was never easier. Also comes with a tungsten chain which lasts up to 4x as long than a normal one! This feature removes the need for tools to adjust the bar. Loosen the sprocket cover without any tools then adjust the chain using a thumb wheel. 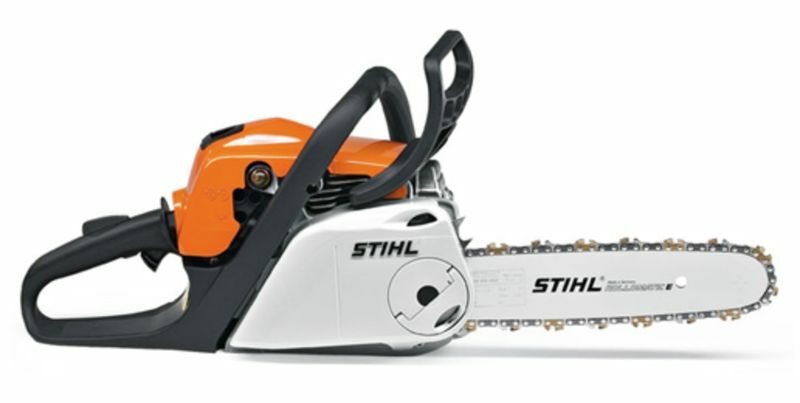 Stihl has revolutionised the way we start a chainsaw with their innovative Easy2Start system. Selected saws like this one now feature an extra spring between the crankshaft and the rope rotor. Less effort is required to pull the cord tensioning the spring against the compression resistance of the engine. With the spring automatically sending the power of the spring to the crankshaft making it turn for an easier start. 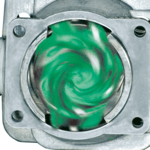 The application of the four overflow channels swirl the fuel-air mix before ignition, resting in optimum combustion and very efficient output. 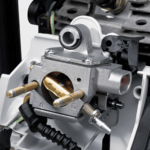 delivering high torque across a broad rpm range. The innovative Stihl long-life air filter system removes larger particles of dirt and dust before they actually get to the filter. Meaning it has less work to do and in return can be changed fewer times, meaning longer life span and less maintenance. The most important functions are accessible through a single lever; controlling the start, choke, throttle and stop abilities. Manual Fuel PumpA primer delivers the fuel to the carburettor at the touch of a button making cold starts a lot easier.